Commenting is a very important way to judge user response and engagement for any website. In this part of the series, we will explore all the commenting platform opportunities available in WordPress. These are some of the plugins which can replace the dull and boring “default” commenting system in WordPress with something which can take your commenting system to a whole new level. Jetpack is a multi-functional plugin created by Automattic which does far more than just improving the commenting system of your blog by allowing the visitors to connect with your site in various ways. It is another outstanding commenting system by Automattic. 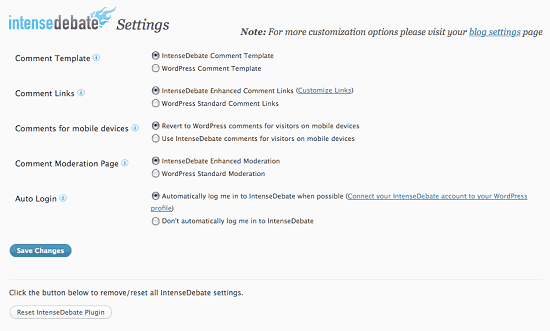 The key features of IntenseDebate is user reputation and voting system. Disqus is one of the most popularly used commenting system in the web, focusing mainly on community-based discussions where users can follow other users and get notified accordingly. Livefyre comments replaces your default WordPress commenting system with a real-time commenting system and focuses on encouraging the engagement of the readers through social integration. It is a very simple and easy-to-use plugin which can integrate your site with the daddy of all social networking sites, Facebook and make the commenting system simpler than ever. CommentLuv is unique in its own way in encouraging comments by rewarding the visitors by placing a link to their last blog post. 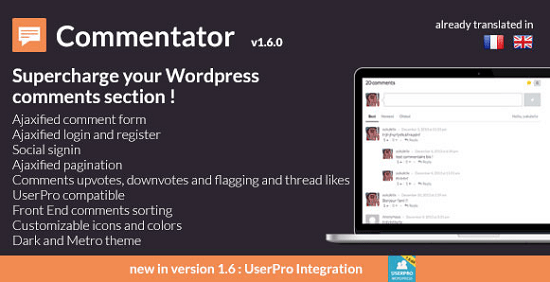 It is a fully ajaxified commenting system for WordPress which add a lot of nifty features to supercharge the awesome discussions happening in your site. This plugin does a simple yet a very important job of letting the visitors subscribe to a particular comment and get notified for the subsequent comments via email. Comments Evolved is an excellent plugin which enhances the commenting system by adding tabs for various social networking sites like Google+, Facebook, Disqus, etc. A simple plugin which changes the look-and-feel of your comments section and integrates rating feature to it. This entry was posted in WordPress and tagged Commenting System, Comments Plugins, wordpress, Wordpress Plugins on February 2, 2016 by Aritra Roy.